Chau and Hollie are a "husband and wife" team who combine their skills and experience in hair colour and design here at Phenomena Hair Design in Surrey, a hair design salon they opened in 2007. As a Schwarzkopf professional trained here in Vancouver, Chau is an experienced hair colour stylist who offers meticulous attention to detail and takes great pride in his results - you will too! 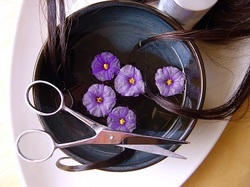 Straightening and Keratin Hair Treatments which are very popular with her clients. So step in and let us pamper you with personalized hair care, manicures and pedicures. 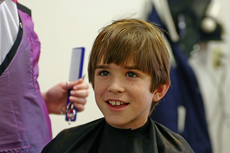 WE PROVIDE HAIR CARE FOR SENIORS Ladies, Men, Children, Boys and Girls. CONTACT US today!